Montreal, you’re a stone’s throw away from New York City (well, actually an hour long flight to be specific) which is why I always heard, while I lived in the city, of New Yorkers jaunting off to M-town for poutine, UFC, good beer and the crazy nightlife. While I have yet to go, and now it’s even harder that I’m all the way on the other side of the country and the temperate Los Angeles winters have made me a bonafide cold weather wimp, (I shiver at the thought of 50 degrees Fahrenheit), I still plan to make a trip one day! And when I do, these tips from Montreal native, Karine Lachapelle, and co-founder of green beauty commerce site, The Natural Curator, will come in handy. Read on for where to go to get the best facial, stop for oysters and wine, go jogging (if you’re into that sorta thing) and much more. 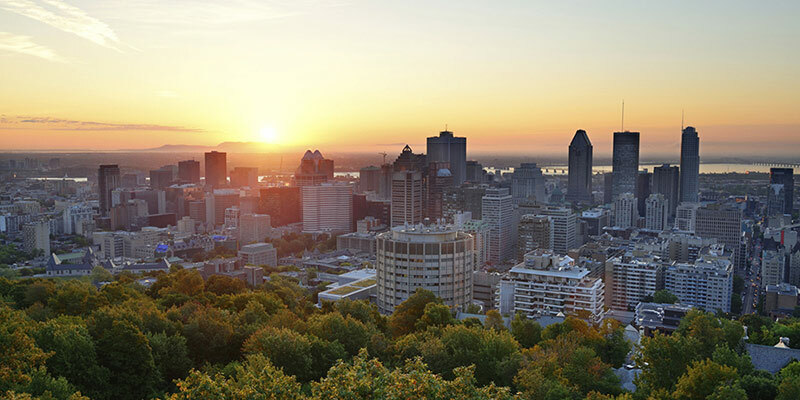 “Montreal has so much to offer even though it’s a relatively small city. Even though, I have lived in London for over 8 years, my heart has always been in Montreal. What can I say, we’re terribly spoiled here. Merging the American comfort of living and the European sophistication, Montreal has so much to offer even though it’s a relatively small city. We have outstanding restaurants, beautiful lush parks and huge cultural events such as the Jazz festival, Osheaga, Piknic electronik, Igloofest, Just for Laughs, Mutek (and the list goes on!). Here’s what a typical Saturday looks like for me if I’m not working on thenaturalcurator.com (#startuplife) and my favorite spots you must visit next time you find yourself in my hometown. I kick off the day with a jog on the Mount Royal. A small mountain which serves as a park and sits bang in the middle of the city (a 10 minute walk from my house). It’s really a large forest with different paths where you can run, bike and even cross country ski during winter! Plus, you get a breathtaking view of the city once you get to the top. I pick up some coffee and breakfast at Hof Kelsten; A beautiful coffee shop with the best pastries. The chef has a lot of experience under his belt with past stints at El Bulli and The Nomad. You can truly say this is a gastronomic pastry shop, no kidding! I take a break PH Santé Beauté to go get a facial. This place is truly amazing as they give you a 360 overview of your skin. They do a complete analysis of your skin and recommend you both a beauty routine and a food diet. It’s like a health check up for your skin! They also do a natural pH Peel which is the ultimate skin exfoliation! I then head over to Saint-Laurent Boulevard. There are many nice shops if you walk up from Rachel until Saint-Viateur. My favorites are Ibiki for minimalist Scandinavian and Korean brands, Jamais Assez for super inspiring and unique home accessories and Les Étoffes for its curated selection of cool yet chic fashion designers that you cannot find anywhere else. 5 à 7 at Larry’s – My ultimate ‘coups de coeur’! They have the best oysters (my favorites), they are definite wine experts and you never get tired of this place thanks to its ever evolving menu. All plates come in small sizes to share cos’ after all sharing is caring. Still unsure where to go for your next beauty inspired trip? Check out our London Beauty Guide or Tokyo Beauty Shopping Guide for some more inspiration.